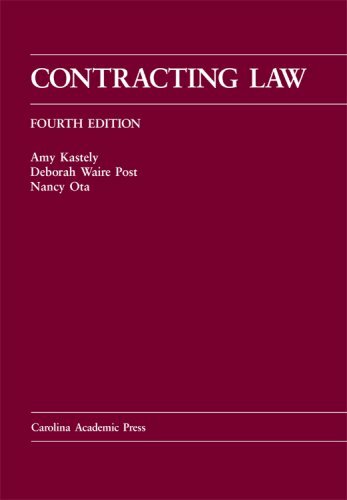 Revised and updated to 2006, the fourth edition of Contracting Law continues the clear explanations of contract doctrine, engaging cases, and thought-provoking cultural and historical materials that have made this casebook a favorite of students and professors. Students and faculty appreciate the fact that no separate statutory supplement is necessary. Selected provisions from the Restatement Second of Contracts and the Uniform Commercial Code are included in the casebook as appendices. The workbook (purchased separately), complete with flow charts, vocabulary lists, problems and structured exercises, helps students understand legal doctrines, case briefing, and synthesis. Students can use the workbook independently or exercises can be used in class discussions. The fourth edition augments the cultural material with notes and questions showing the social contexts for specific contract doctrines. Many sections are shortened and reorganized for ease of use in 3-, 4-, or 5-credit courses. 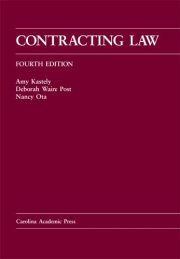 At the same time, UCC coverage is expanded (including both the pre-and post-2003 versions of Article 2) for those courses designed to include sales law.